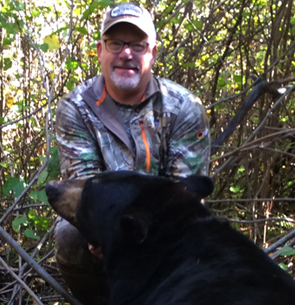 Bernie Barringer of Brainerd has hunted bears from Coast to Coast across North America but enjoys baiting for family and friends most of all. His credits include editor of Bear Hunting magazine, author of the book “The Bear Baiter’s Manual” and more than 100 magazine articles on bear hunting. His DVD “How to Bait Big Bears” Is considered a definitive work on the subject. His seminars will help bear hunters see the big picture in bear hunting, from choosing a bait site to hunting strategies including how often to bait, best types of baits, how much should be used, dealing with nocturnal bears and other important factors in making the most of your bear hunt. From the experienced to the novice, every bear hunter will get something out of this presentation.